Do you want to hire the perfect person to run your social media? Want to know the criteria you should consider for the hiring a social media expert? To make all that happen, you’re going to need the right person. If you get the social media staffing part of this down, the rest of your social media program should fall in line. Of course, getting the right candidate to run your social media could be like playing the lottery; you get more duds than diamonds. And now let’s dig in. There is an almost endless list of potential tasks for social media marketers. Even if you’re doing well on the big three platforms (Twitter, Facebook, LinkedIn), it’s always tempting to expand out into smaller social platforms. Because of all the potential work, it’s actually not the amount of work that could be done that justifies hiring someone. Even a micro-company running out of a second bedroom could justify hiring social media help if the only criterion was “we’ve got a ton of work to do.” The time to hire for social media is when you’re missing out on potential business. Hire when you know you’re leaving money on the table. There’s something you have to clarify before you hire someone to do any social media work. You have to define how your business sees social media. Are you approaching this like a direct marketer, who wants to track everything and know their ROI for each platform? Or are you approaching this more as a brand marketer, who simply wants a presence on social media? If you are willing to take a brand marketer’s approach, can your business financially support doing social media purely as a brand-building exercise? And if you would be happy simply with a larger presence on social media, will your finance department be happy with that? If finance is not happy with that, what could the consequences be? It helps to have three levels of goals for marketing initiatives. The rock-bottom minimum results required to keep the project going (say, 1,000 new Facebook likes per month). Plenty good enough: Results that are good enough to at least consider expanding the program, and to keep it safely off the chopping block. Wild success: Very positive results that justify expanding the program by 20% or more. Social media is an inexact science. You can start out with a focus on one thing and have that initial goal fail, only to discover that some other part of your work is actually creating great results. For example, after you finally get some tracking set up, you could learn that your Facebook work is a bust, but LinkedIn is actually generating a positive ROI. How much does a full-time social media person cost? 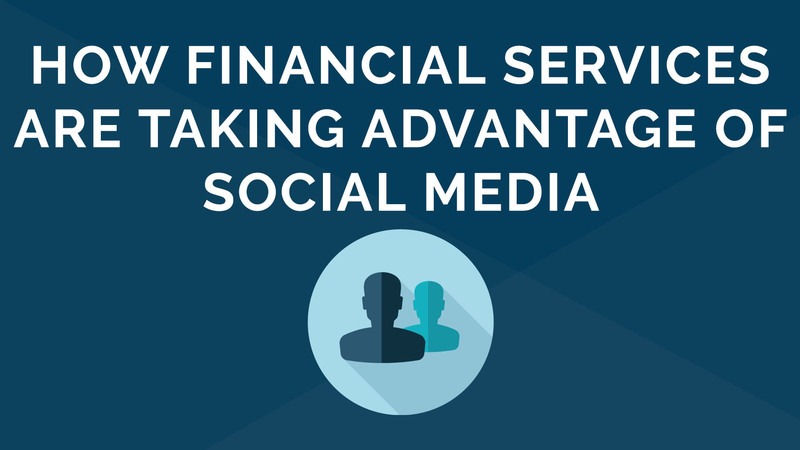 Social media help is expensive, and it’s not something you want to go cheap on. According to Glassdoor, a social media specialist, an entry-level position, has an average base pay is $49,395. To help you get an idea of who else is looking for social media specialists, here are more than 5,000 results for the role in LinkedIn. Example 1: You’ve built a decent following on Twitter, Facebook, and Instagram. You are tracking results. Your social media work is generating a small but steady trickle of sales. You are certain you could increase this trickle, but either you can’t get to it personally, or your existing social media staff is already maxed out. Example 2: You’ve already got an intern part-time and a social media person who works full time. They have built a decent presence on the big social sites, with footprints on the smaller social sites. Results are a little sketchy, but you’re approaching this more as a branding exercise, so you’re okay with the fuzzy results. Where you’re really lacking is in tracking. You also feel like the whole social media program needs a thorough audit. You have neither the skills nor the time to do such an audit. Neither does your existing staff. Suppose you’ve got enough success with social media to justify a new hire. The next thing is to spell out what success for this new hire would look like. Whether you’re hiring a 10-hour a week intern, a full-time social media manager, or an ad agency, you need to define what success is going to look like. What kind of business results do you need to see to justify that 10-hour a week intern? Even if the intern is free, there’s still a cost to your company. The intern needs supervision and a computer. Those are costs. The results required get more demanding if you want to hire a 10-hour a week consultant, for, say $50 an hour. That’s $2,000 a month, which means there’s got to be a quantifiable business return based on that kind of spend. Even if you see social media as brand marketing and not direct marketing, there still must be some defined results. Otherwise, three months from now you could be sitting across the table from this consultant or new hire, looking at a report with some very disappointing results, and realizing you’ve spent $6,000 to $24,000 for nothing (or the wrong thing). If you decide to hire someone only part-time, how much will that cost? It varies widely, from $50 to $200 per hour. If you go the agency route, things can get even more expensive. The website ContentFac.com estimates that it’s common for agencies to charge $1,000-$2,500 per month to manage just a Twitter account. That doesn’t include setup either – that would be even more expensive. To have a PR agency manage your Facebook page, expect to spend $2,500 to $5,000 per month. Some agencies will charge as much as $9,000 per month. If you want a comprehensive social media strategy planned out and then executed, you’ll pay anywhere from $3,000 to $20,000 per month for just two channels (like Facebook and Twitter). An average cost would be $4,000–7,000 per month. With prices like that, you may be better off just hiring someone to help you full-time. If you used the mid-range of the Creative Group’s estimate of a social media manager salary ($80,000 a year) and added a conservative (15%) burden, that would work out to $7,666 per month. On the other hand, the agency should be able to provide rock-solid skills in 360 degrees, more than a single person can be expected to bring to the table. If you have a slate of highly diverse tasks each calling for a high level of competence, you might be better off with an agency, at least to set things up. Now that you have a job description and a salary allocated, where can you start looking for your new hire? Place a job listing on all the usual places, like LinkedIn, Glassdoor and other job boards. But also look through Hootsuite’s Certified Social Media Consultants Directory. Try putting a job listing up on MediaBistro.com, or UpWork, too. As the responses to your job listing start trickling in, you’ll realize you need to know if these people who say they know social media … actually do know social media. They should offer links to examples that demonstrate their social prowess. (If they don’t, toss that resume right now.) The first place to check would be on their social media profiles. Notice follower counts, plus what they’ve been sharing and liking. If people have interacted with their shares, or asked them questions, have they responded? Can you tell if they’re using any of the major social media tools, like Buffer, Hootsuite, Oktopost or SproutSocial? If they’ve included past social media clients or jobs on their application, how do those social media accounts look? Be mindful of job discrimination as you scrutinize your hire online: There are state and federal rules about using social media to discriminate against job applicants. This applies to race and religion, but it applies to an applicant’s age, too. Just someone is over 50 doesn’t mean they can’t be a rock star social marketer. The most conservative action is to check only the links they provide. After you’ve checked someone’s social media accounts and gone back at least a month through their activity, it’s time to check their numbers. Do a quick sweep to make sure they haven’t bought followers or likes. For Facebook likes, there’s no one tool to use to snuff out fakers, but Social Media Examiner wrote a nice article recently about how to spot a spammy Facebook page. If you really want a way to quantify someone’s social media skills, you’ll probably have to look to social scoring sites like Klout, Kred and PeerIndex. As with all tools, take what they tell you with a grain of salt. There’s a very funny post titled “Two Weeks And $40 Got Me A Klout Score Of 60” that can give you some healthy skepticism. Klout is probably the best-known social scoring tool. It gives a score from zero to 100. A score of 100 is nearly impossible to achieve. Even Justin Bieber only got a 92. Barack Obama was doing nicely with a 99. A Klout score of 40 is about average. Anything over a 60 typically means you’re looking at a social media power user, or one of those “influencers” that drive influencer marketing. Some ad agencies require their social media people to maintain a Klout score of at least 50. Kred is the next place to check. It’s a bit more refined than Klout because it shows a person’s level of influence in different topic areas. Once again, though, take what it tells you with a grain of salt. All this assessment of someone’s social media stature raises another issue: Will you expect your new hire to use his or her personal influence and personal social media accounts to promote your brand? That’s enough information to get you well on your way to finding the perfect social media hire. Hopefully, about a year from now, when you sit down to do their annual review, you’ll have nothing to discuss but success.